I'm a long-time admirer of Steve Thompson, who has been a steelworker, writer of hit songs, and more recently inspiration and mentor behind many European-funded community media projects while based at the University of Teesside... with more here. The latest work he's developing in the village of Thorntree has the some lessons for the UK e-democracy programme. Steve is working with Middlesbrough Voluntary Development Agency to combine the use of digital media with Planning for Real®. 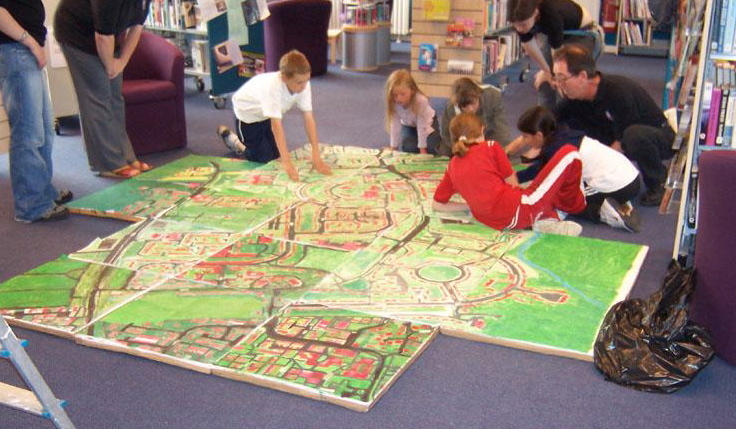 This is a technique for community engagement that involves people building a physical model of their neighbourhod as part of the process of exploring the issues that most concern them, and then deciding what to do. What's new is that Steve is helping Thorntree residents add their images of the area, and their ideas and concerns through video clips. The TS3 site (it's a postcode) has a clickable picture of the base of the model, galleries for photos and videos, and several blogs. The work has only just started, so click-throughs are limited, but to me what's important is that the project is giving a direct voice to residents using fairly basic tools and simple approaches - cleverly. I gather some of the video is done with webcams and a still camera. Where there's concern about directly showing a young person, Steve has asked them to draw a picture and talk us through that off camera. 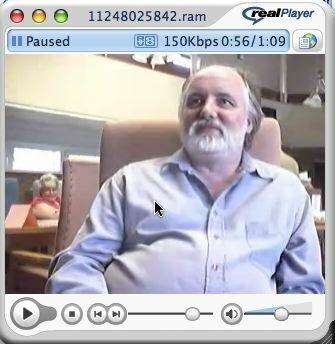 Residents are encouraged to do their own interviews - as you can see here (needs Realplayer). Steve is in the chair for once. The approach developing in Thorntree will make it easy for people to add in other items, using their own cameras or phones. If a group wants to add to the system - which uses b2evolution - that's easy. There are, of course, plenty of great community media examples around, some of them showcased by the Community Media Association - but I don't think there are many examples, if any, directly mixing model-building, interviews and other media. If there are, please let me know! I think this approach could be important for e-democracy because, as I wrote recently, much of the work done so far in the UK is pretty top-down and institutional. A combination of "democracy" and "Internet" is not going to help bridge the gap of suspicion and mistrust between citizens and politicians unless the tools and approach used help start conversations around topics that interest people, in language they can understand. The TS3 approach could be a way forward. You can see an interview I did with Steve a couple of months ago as part of some evaluation work for the Ourvideo project run by the National Computing Centre. As well as Steve, I interviewed other people who created videos for the project, and Diane Rogers from the Community Media Association. Update: Steve emails to say that the b2evolution open source tool used on the project is being shaped by and added to with extra applications developed at the University by CMAD - the community media applications developers - "a small but very merry band". I can believe that - their online Community Challenge is particularly good fun.